Cosmopolitanism may be understood as an interaction of the individual with the other through dialogues and intermingling in different cultural spaces, such as, academic institutions, habitats and marketplaces. With the recognition of the individual, there arises the significance of the local (as a place of habitation like the city), the need to interact along the gross and mundane aspects of life involving everyday interaction at places like marketplace. These everyday exchanges eventually open up the possibilities to realize the sublimity of an intercultural connection not only with people within institutions but also with humanity at large. Cosmopolitanism, conceptualized in this manner thus allows an understanding of both the familiar and the unknown with a respect for differences within human society rather than limiting the idea to conceptualization. Cosmopolitanism, realized through different pragmatic spaces within social institutions lay out the future vision of moving beyond theoretical discourses, making a progress towards the understanding of a humane cohabitation across differences. 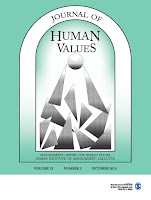 The Journal of Human Values provides an understanding of how in order for individuals, organizations and societies to endure and function effectively, it is essential that an individual's positive exalting forces be rediscovered and revitalized. 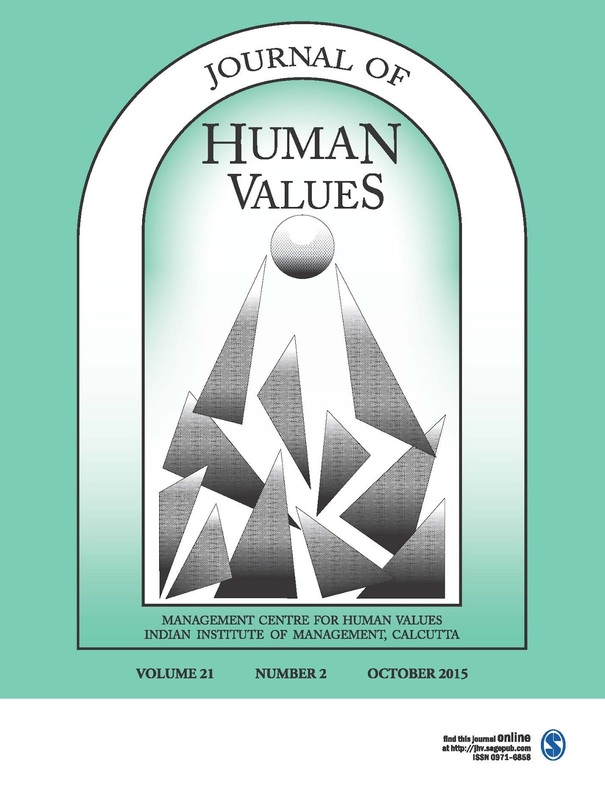 addresses the impact of human values along a variety of dimensions: the relevance of human values in today's world; human values at the organizational level; and the culture-specificity of human values.